Note: A full schedule of concerts and events from 2013 can be found here. Blast your horns! The Vintage Band Festival is returning to the river town of Northfield with satellite concerts in surrounding communities. Experience music from past eras, as it was once played, through a variety of genres and cultural heritage influences. Discover the rich history of southern Minnesota as the tour winds through the towns on a “musical time machine” with this exciting “Music & History” travel itinerary. 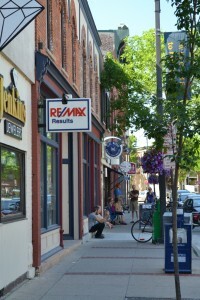 Settle in to the picturesque music-infused town of Northfield and head downtown! Description: Get up close and personal with a band; enjoy a short performance, discussion and buffet lunch. 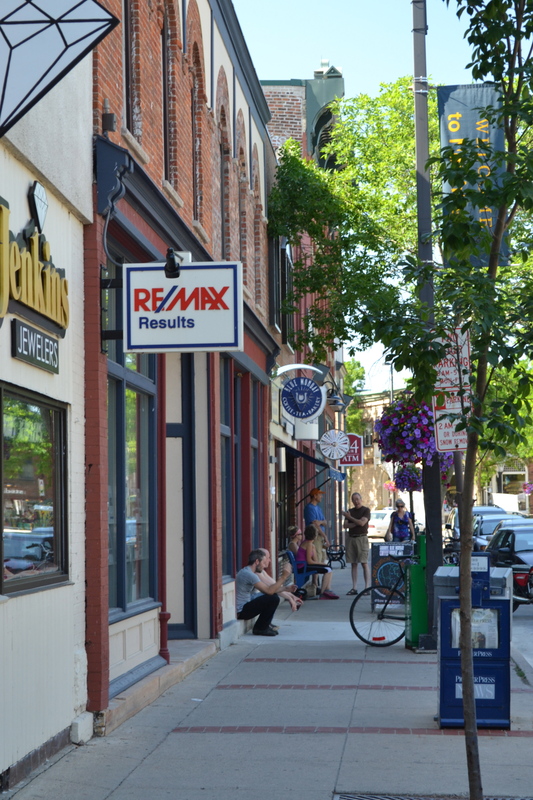 Shop Northfield’s historic downtown (2-4 p.m.) and take in more music (4-9 p.m.) as performances take place from noon – 9 pm daily at various locations throughout the city. Stay at a historic boutique inn like the Archer House River Inn or a B&B such as Magic Door or another favorite hotel spot. Dine at the historic Ole Store Restaurant, one of Northfield’s earliest dining establishments. Optional – visit Faribault (just 15 minutes south) and attend a Vintage Band Festival satellite concert and listen to the Dodworth Saxhorn Band (Civil War era) at the bandshell, take the city’s history walking tour or visit the Rice County Historical Society and dine at the Cheese Cave before returning to Northfield. If you stay in town, try the Vintage Ballroom & Suites or Historic Hutchinson House. Music is also held in Owatonna as part of the Festival. Hear the sounds of the Buffalo Bill Wild West Band. Make sure to view Louis Sullivan’s National Farmers’ Bank – the “jewel box of the prairie”, which is on the National Register of Historic Places and listed in their Historic Downtown & Homes Tour. 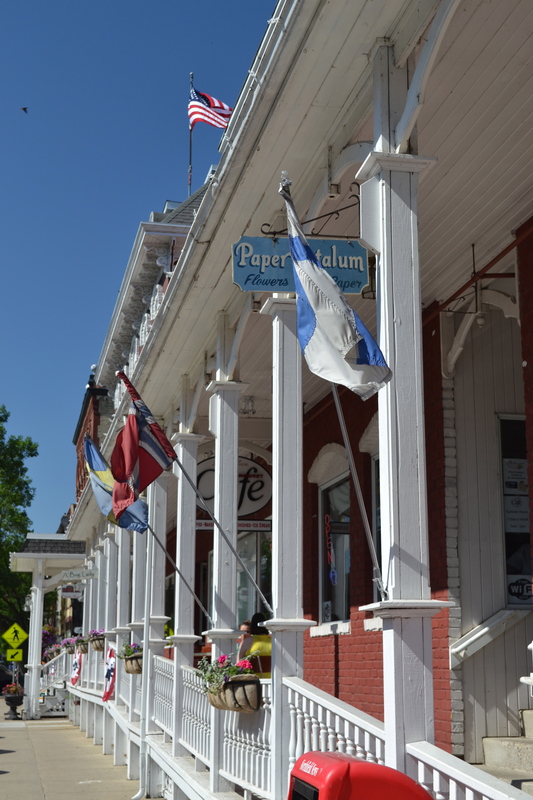 Ivisit Faribault (just 15 minutes south) and attend a Vintage Band Festival satellite concert and listen to the Dodworth Saxhorn Band (Civil War era) at the bandshell, take the city’s history walking tour or visit the Rice County Historical Society and dine at the Cheese Cave before returning to Northfield. If you stay in town, try the Vintage Ballroom & Suites or Historic Hutchinson House. Music is also held in Owatonna as part of the Festival. Hear the sounds of the Buffalo Bill Wild West Band. Make sure to view Louis Sullivan’s National Farmers’ Bank – the “jewel box of the prairie”, which is on the National Register of Historic Places and listed in their Historic Downtown & Homes Tour. The Kentucky Baroque Trumpets play in Red Wing (Check out their River City Days that includes some old time music scheduled at Baypoint Park.) and stay at the historic St. James Hotel. In Chatfield the Independent Silver Band takes to the stage at their community bandshell. Tour Northfield’s many vintage spots with their History Podcasts. Step inside the bank where the notorious James-Younger Gang made a foiled attempt to rob the bank; this is now the location of the Northfield Historical Society.Take in more music at the parks, pubs and restaurants in town. Performances take place from noon – 9 pm daily. Build your own itinerary with our full schedule. Optional – visit New Prague as Eine Kleine Dorfmusik Kapelle (Austria) performs and tour the town with their walking tour; Ehnstedt’s Octet (Sweden) will perform in Cannon Falls. Make sure to stop by Hobgoblin Music for their Red House Barnfest! of blues and roots music out on the lawn. Discover historical musical instruments inside the shop. The Cannon Valley Winery and The Old Market Deli are worth a visit while in Cannon Falls. The Original Drachenfelser Musikanten (Germany) play on the B & L Terrace in New Ulm, MN as part of the Vintage Band Festival. Dine at a downtown restaurant overlooking the river at The Tavern of Northfield, Froggy Bottoms or The Contented Cow. Take in more band performances (2-5 p.m.) Go to vintagebandfestival.org for the schedule. Optional – St. Peter will host a Sweden brass sextet band called Medevi Brunnsorkester. 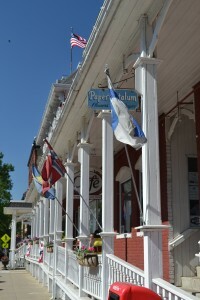 St. Peter is home to three-time world champion Govenaires Drum and Bugle Corps and has a three-block downtown area listed on the National Register of Historic Places. New Prague hosts the Original Drachenfelser Musikanten. Ehnsted’s Swedish Octet: will perform at Minnehaha Falls Park Pavilion in Minneapolis at 2:00 p.m. Various performances accompany Sunday church services in Northfield; go to vintagebandfestival.org for the complete schedule. Sunday afternoon performances take place in New Ulm at the Schell’s Brewery Biergarten with the Original Drachenfelser Musikanten out of Germany and in New Prague is a performance by Medevi Brunnsorkester from Sweden. First Brigade Wisconsin at Cannon Falls Cemetery: General Colvill Memorial Concert 3:00 p.m. This is a unique event for travelers; make the Vintage Band Festival part of your summer travels! All performances are free and open to the public, although financial donations are encouraged with receipt of festival printed programs. Contact us at vintagebandfestival@gmail.com or info@northfieldchamber.com (507) 645-5604, so we can assure ease in planning. We look forward to making this summer trip a blast and one to remember! Visit us online at http://vintagebandfestival.org. A hypothetical diary entry from one who attends the 2013 Vintage Band Festival. We got into Northfield on Friday night after a long day’s drive from Milwaukee, checked into the motel, and got to Bridge Square in time to hear Kenny Carr and the Tigers rock the downtown with amazingly intense rhythmic jazz. We stopped at the Contented Cow afterward for refreshments and to hear a couple of British tunes played by the Red Wing band, Sheldon Theatre Brass. This morning, after an all-American egg breakfast at the Quarterback Club, we walked to Bridge Square to watch the local artisans, food vendors, and musicians set up their booths for the Riverwalk Market Fair. We also listened to the New Prague Area Community Band perform a morning concert on the Bridge Square Stage. We then walked south along the new path down to the Farmers Market and then back up the riverbank to ‘case out’ our location for listening to the “Battle of the Bands” at noon. On the way back north we visited with the artists in their booths along the riverfront, and bought some jewelry as gifts for our friends. We decided to cross over to the west side on the footbridge and find some shade under the big trees. Soon six bands began to assemble on both sides of the river, including the fairly large 1st Wisconsin Brigade Band in blue uniforms. The 26th North Brigade Band in grey, and two others, mustered on the east bank. The band from Texas was making a lot of extra ruckus. At noon the “battle” began with volleys of music: Yankee Doodle, Dixie, Bonnie Blue Flag, Battle Hymn, each of the six bands playing a tune and moving on to the next. After an hour the six Civil War bands met on the Third Street Bridge, did a formation and began performing a set of old-time tunes under the direction of Maestro Paul B. Maybery, Esq. The sound, with such old authentic instruments, was soft and haunting. We had sandwiches and soup at Hogan Brothers (all the restaurants were really busy!) and got on our bikes to trek over to Old Main Green at St. Olaf to see the start of the vintage baseball game, Rochester vs. Northfield. The Carlisle Town Band played some rousers during the game and we also had some ice water. On the way back downtown we stopped at Way Park at to hear the Copper Street Brass Quintet do some of their fine arrangements, and got back to Bridge Square in time for the 26th North Carolina Regimental Band’s main concert – spectacular playing by these finesse players of antique instruments. Right on the heels of the 26th were three exciting ethnic bands from Minnesota: the klezmer band “Klezmerica,” the Latino Band “Mariachi mi Tierra,” and the Balkan-style band, “Brass Messengers” – an exciting and colorful evening of listening. We then returned to the motel to change into our “vintage” clothes; for us this was just a blouse and a long skirt, suspenders and a white shirt, and we both have straw hats. Then, back downtown to the Armory for the Grand Ball. After a splendid grand march (we marched, too! ), the Dodworth Saxhorn Band took us through an evening of wonderful swirling dance experiences. We headed back to the motel afterward, exhausted. Tomorrow morning we will attend the service at the Moravian church on Division Street, with Civil War band music from the balcony.